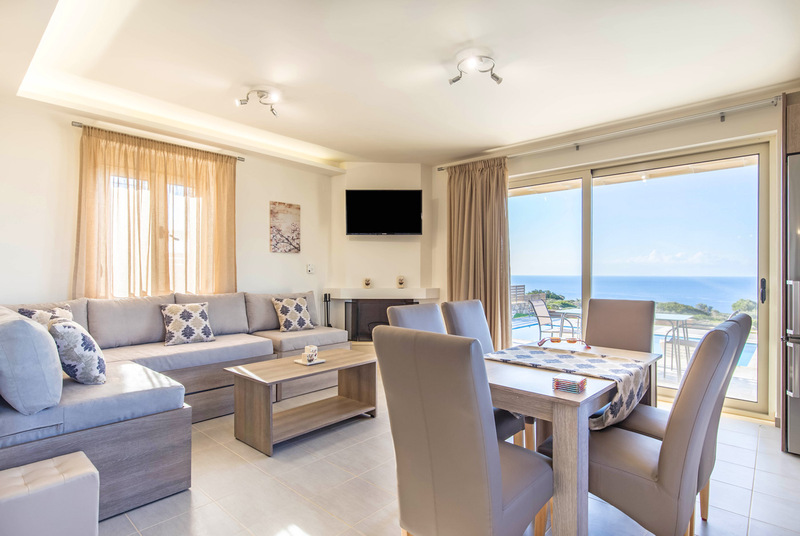 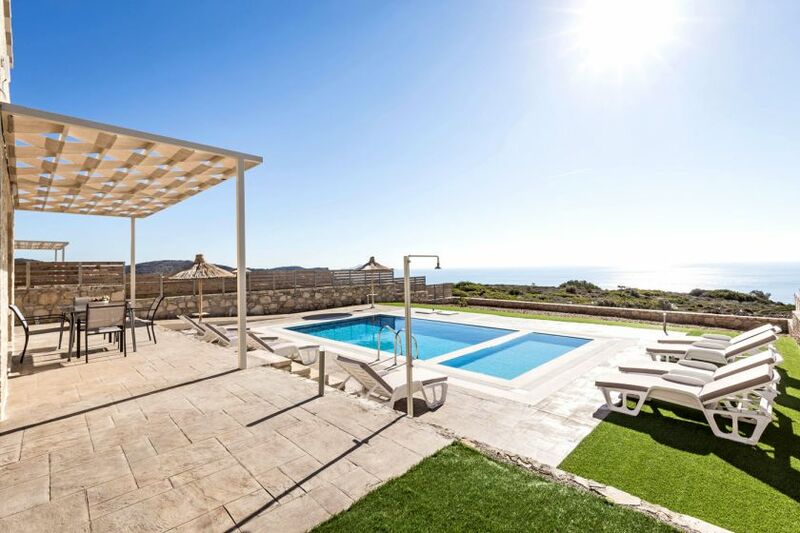 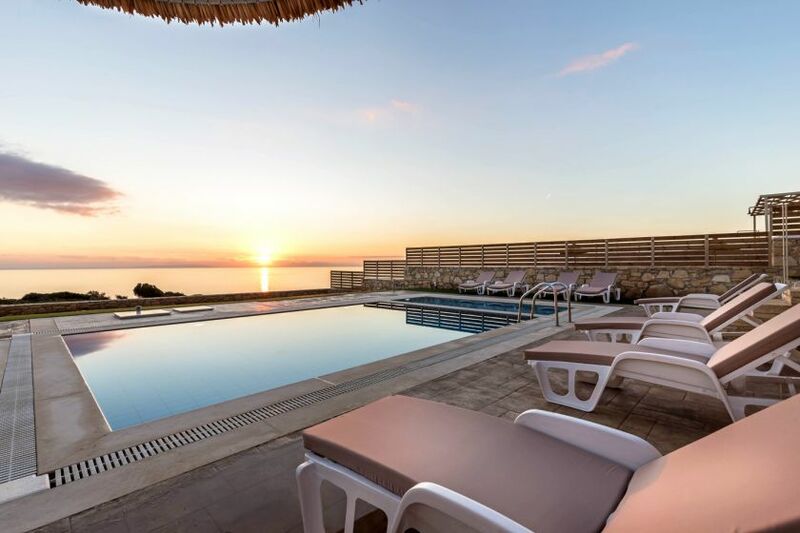 Blue Horizon Villas is a brand new, sea view group of two 3-bedroom villas and one 1-bedroom villa, each with a private pool, perfectly located 800 meters from the magnificent pebble and sandy beach of Triopetra. 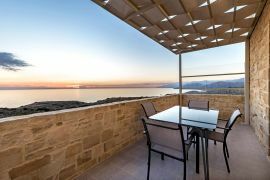 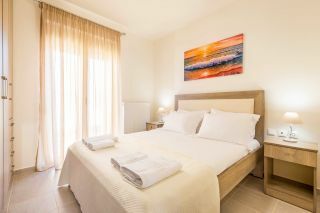 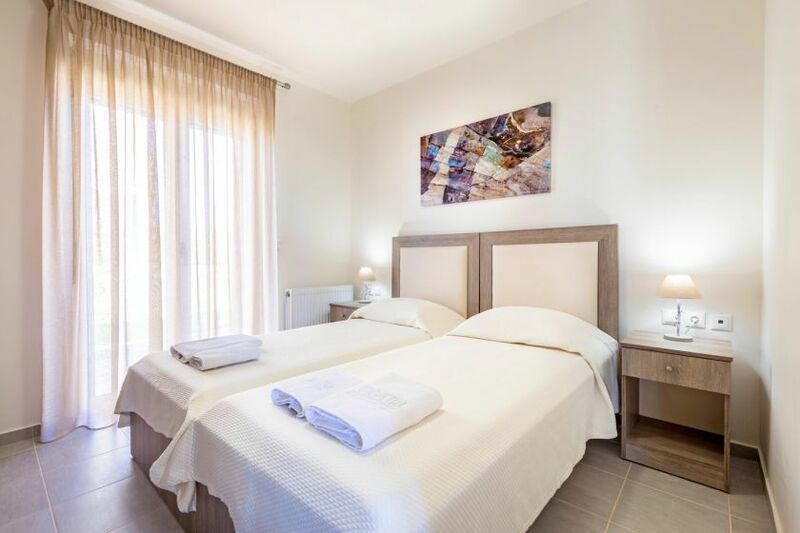 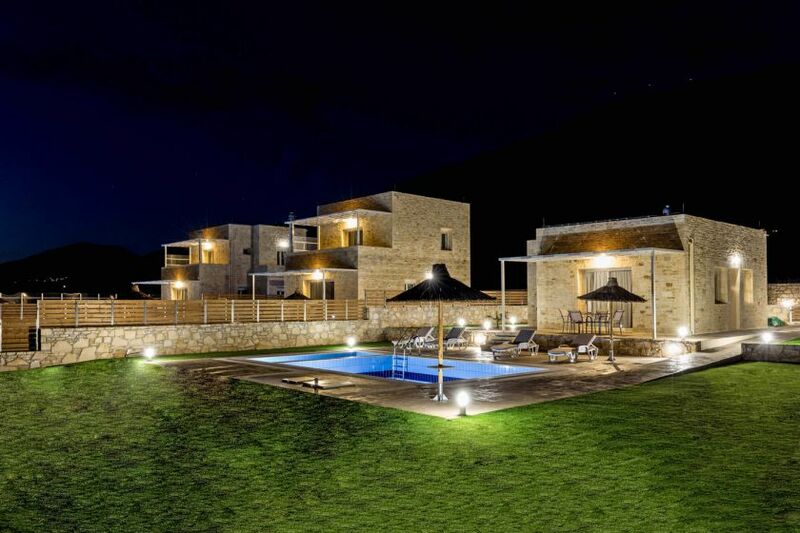 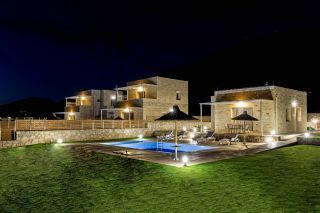 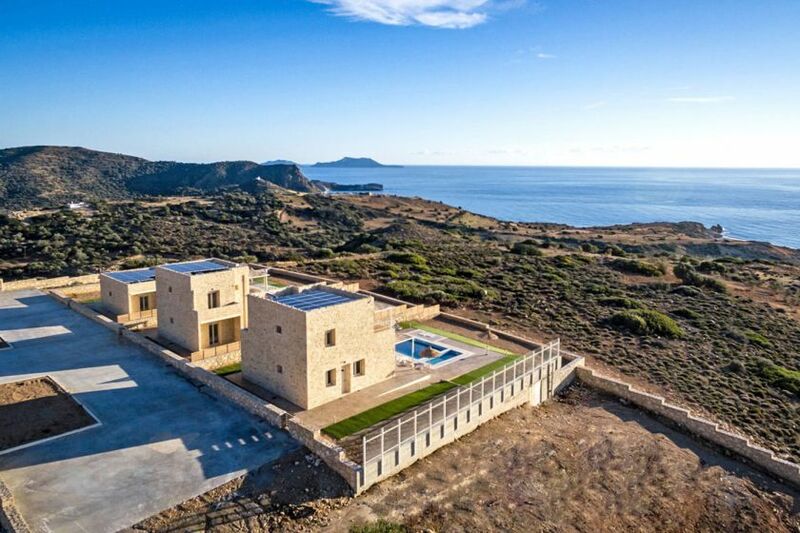 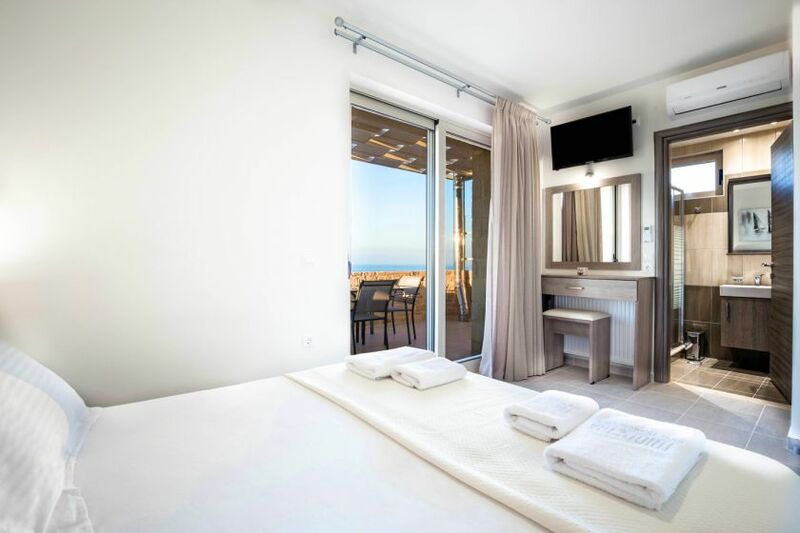 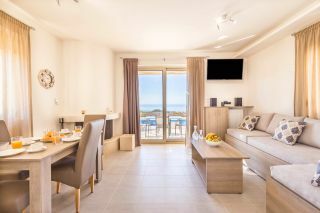 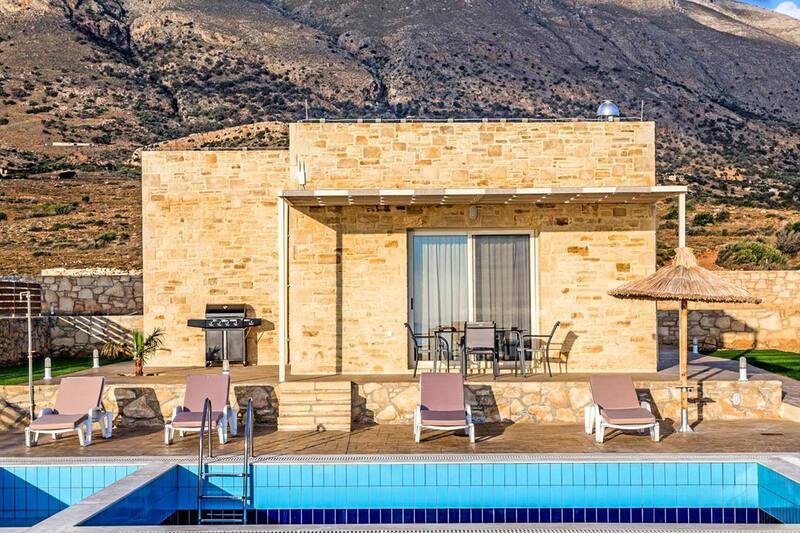 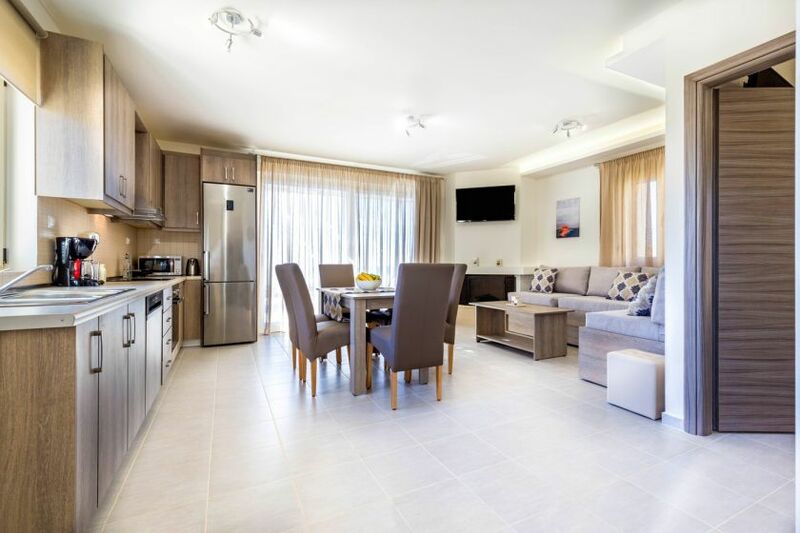 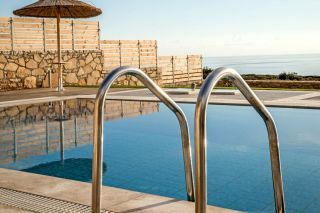 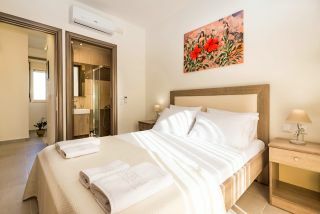 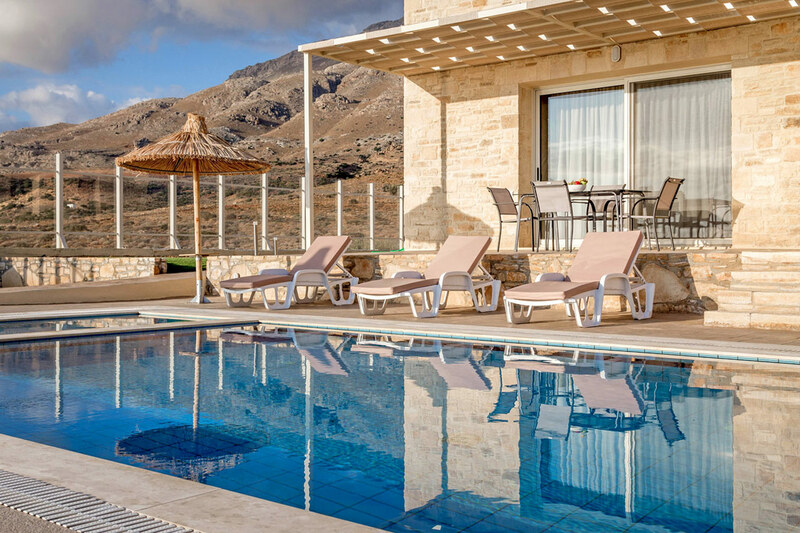 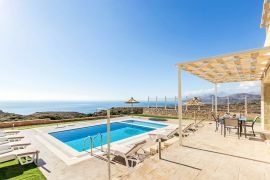 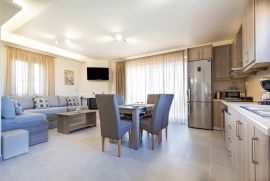 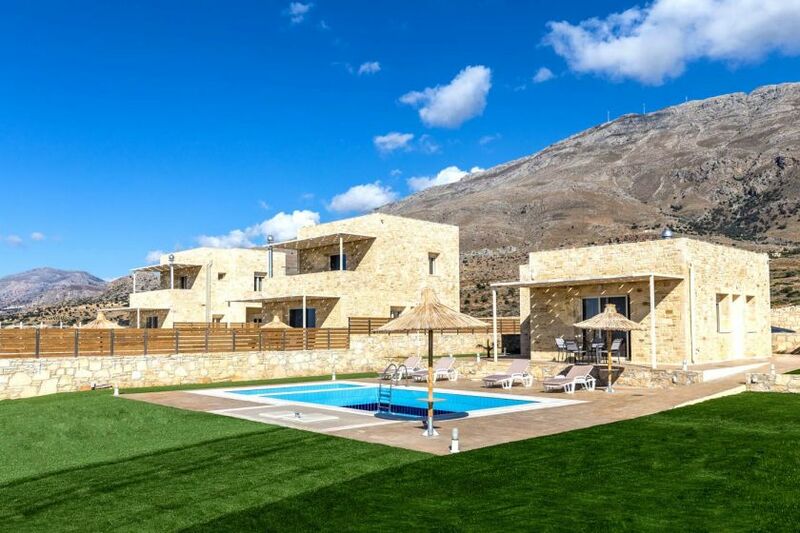 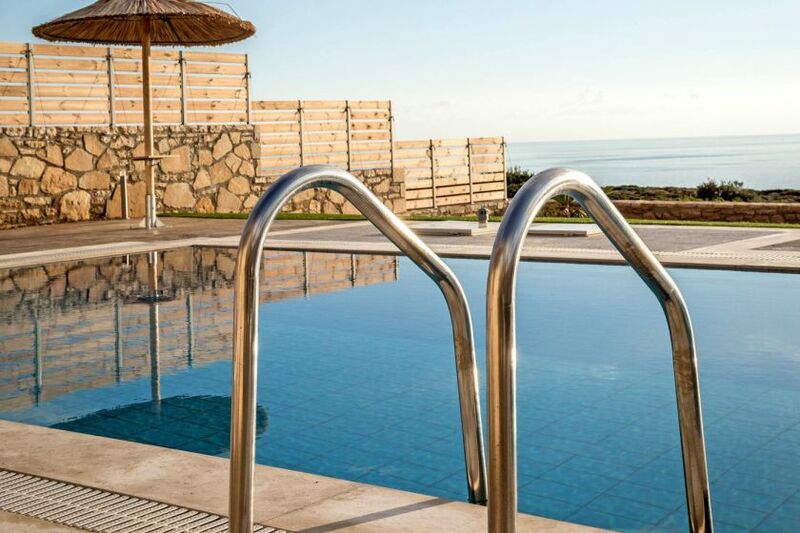 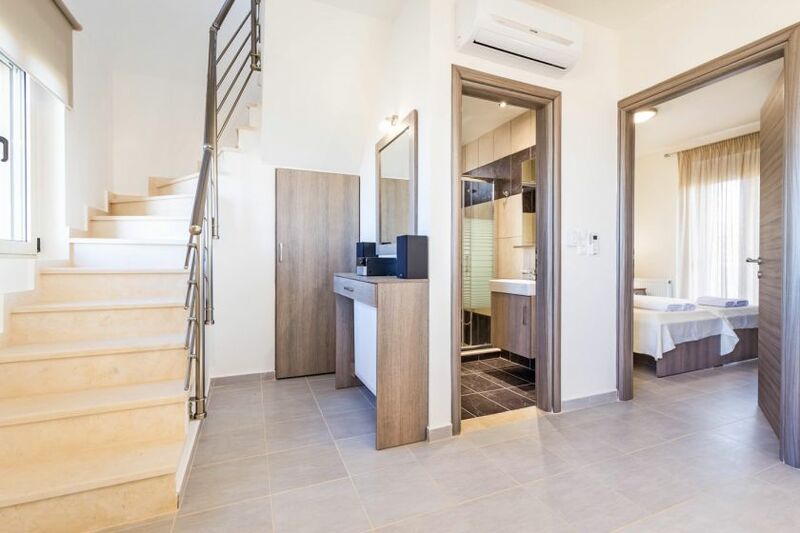 The location of the stone-built Villas offer all guests the chance to explore the nearby crystal clear beaches of south Rethymno, the unique nearby beaches of Agios Pavlos at 7 km away, the famous Preveli palm beach and the monastery of Preveli at about 20 km away. 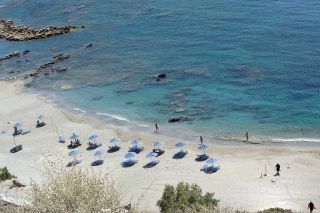 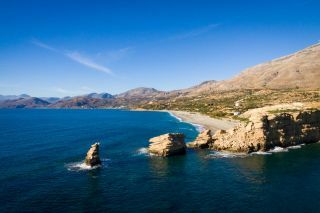 The nearest local tavern is found at 1 km, while the picturesque town of Rethymno is 45 km away. 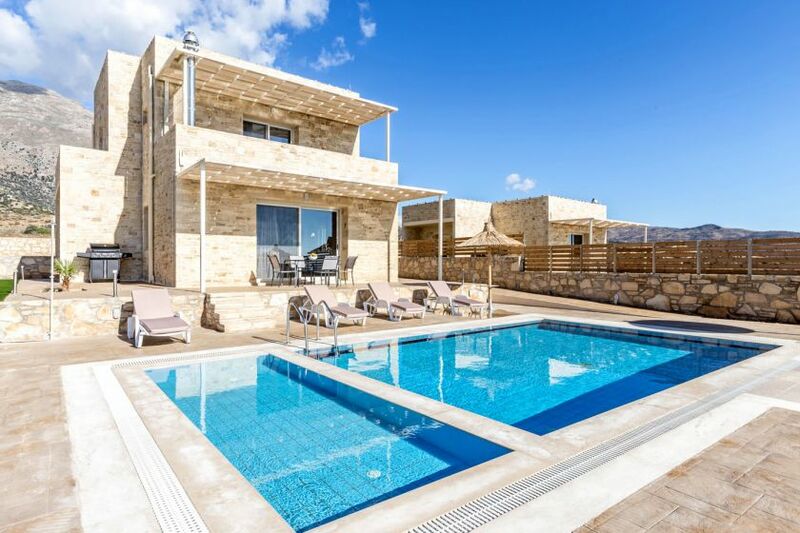 Blue Horizon Villas are 3 unique Villas with modern style and lovely views of the Libyan sea, each one built next to the other with its private pool and separate children's pool. The East Villa of the complex is a ground floor 1-bedroom Villa with maximum capacity of 4 guests. 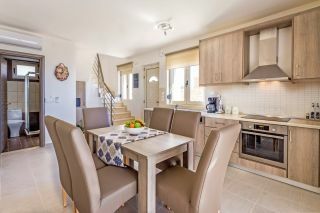 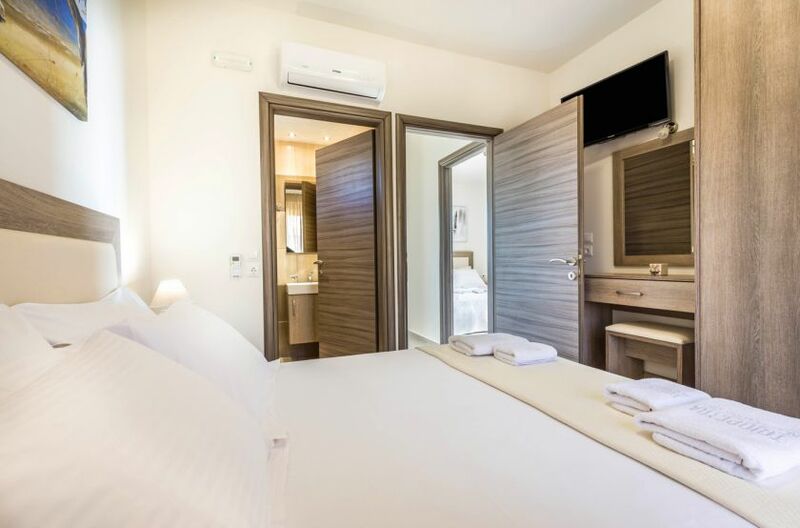 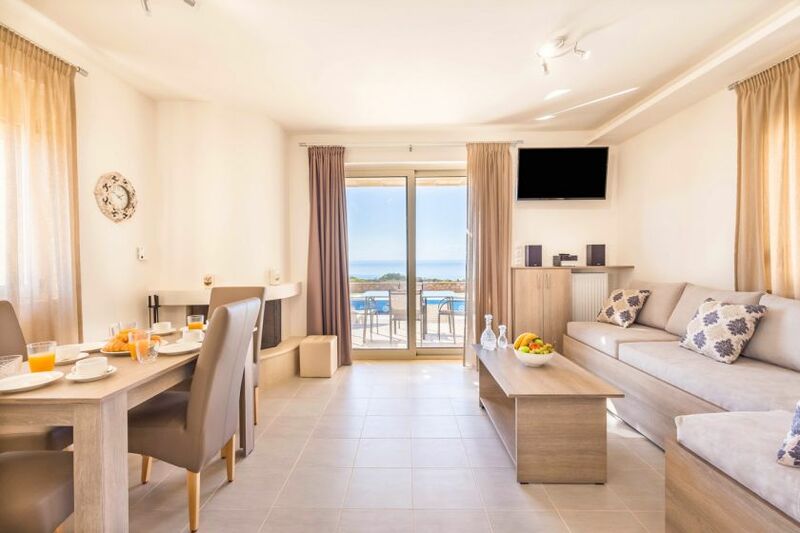 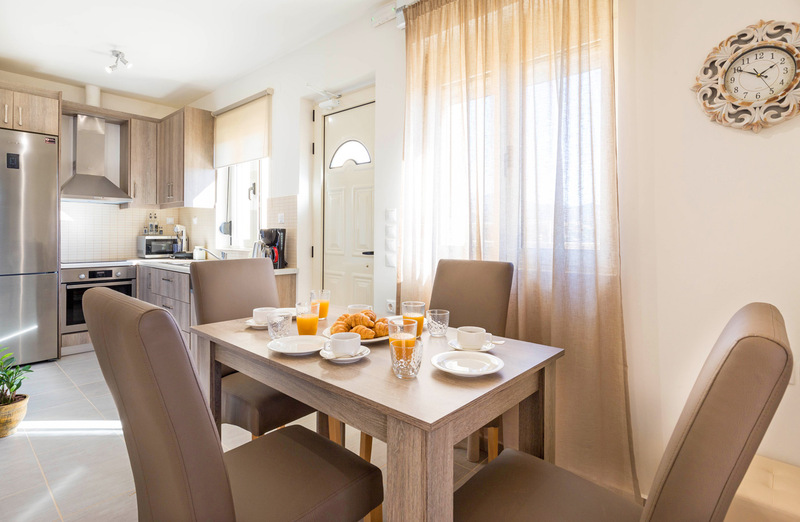 The villa consists of an open plan living room with a sofa bed, a dining area, a fully equipped kitchen, a double bedroom and a shower bathroom. 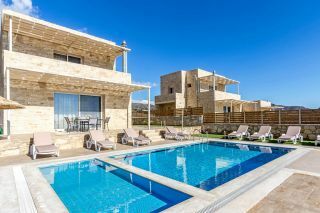 The Middle Villa and the West Villa are two similar maisonette style Villas with 3 bedrooms, 3 bathrooms and each one can accommodate up to 8 guests. 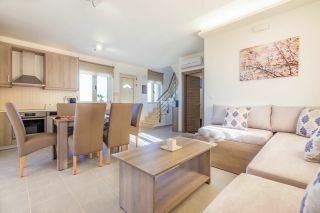 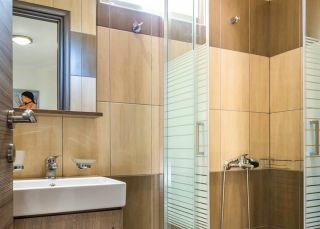 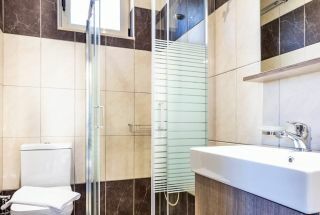 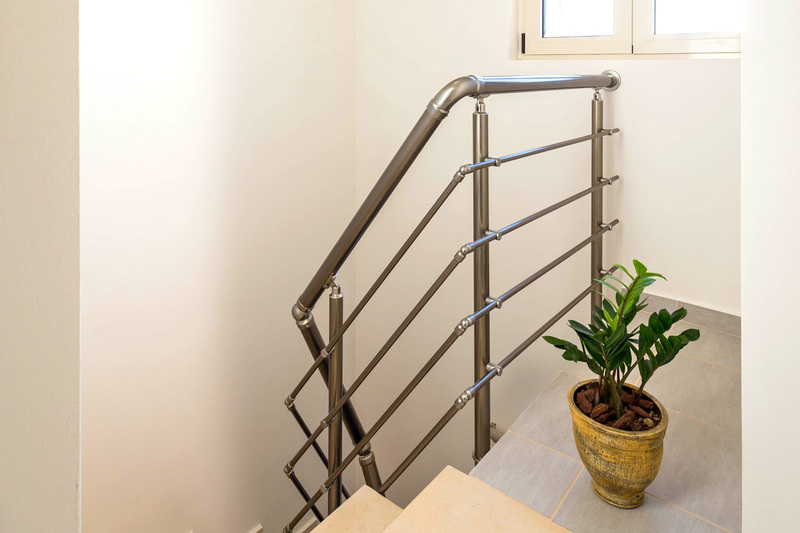 Both of the Villas provide an open plan living room area with sofa bed, a dining area, a fully equipped kitchen, a twin bedroom and a common shower bathroom on the ground floor. 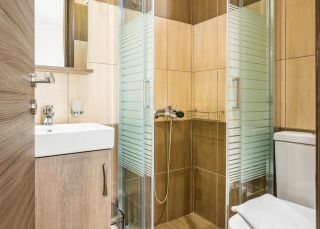 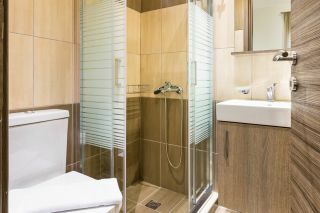 The top floor of both villas features two double bedrooms and two en-suite shower bathrooms. 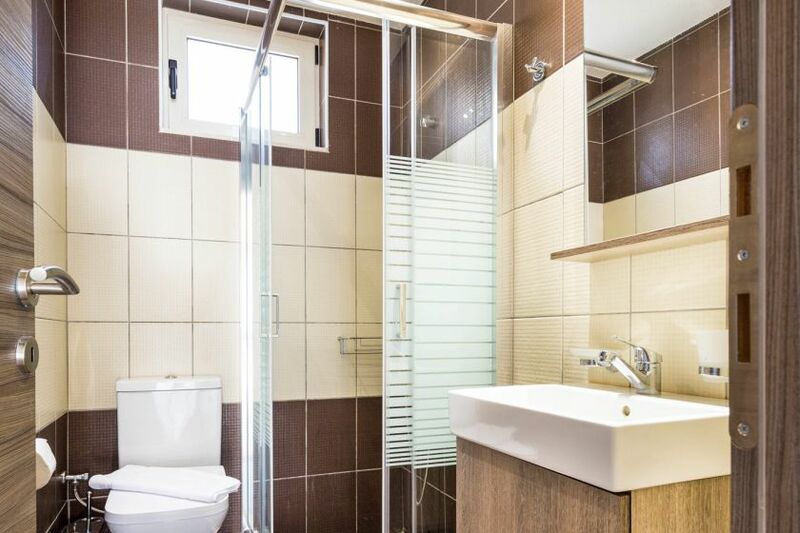 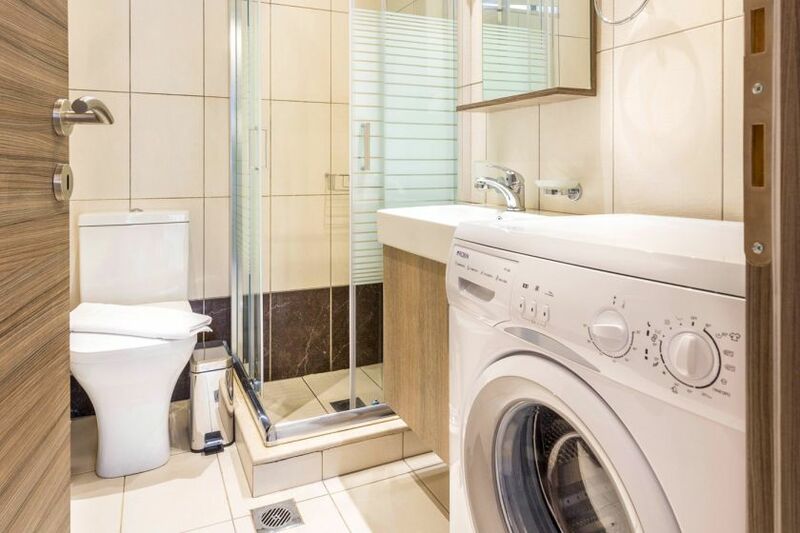 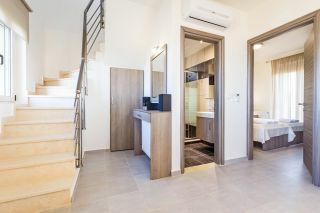 Wireless internet, air conditioning, dishwasher, washing machine, barbecue facilities, private parking space are available. The famous Triopetra (which means Three Rocks) consists of two beaches with crystal clear water separated by a small peninsula, where three rocks rise. 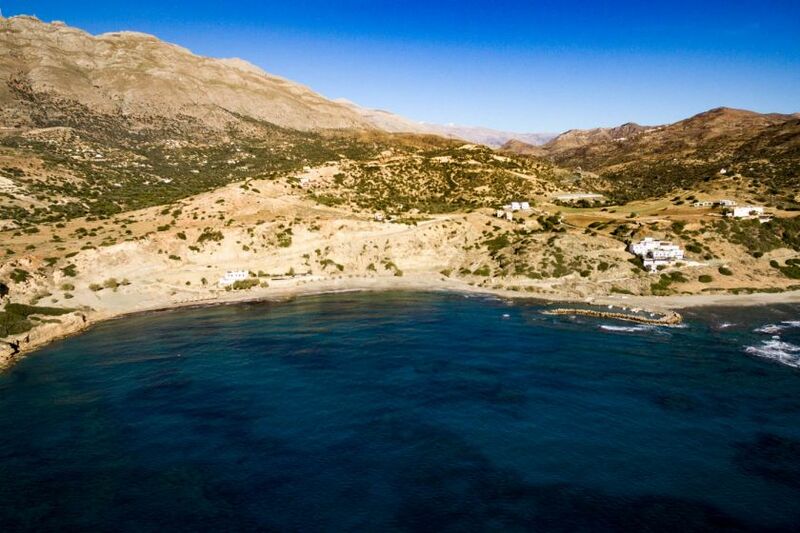 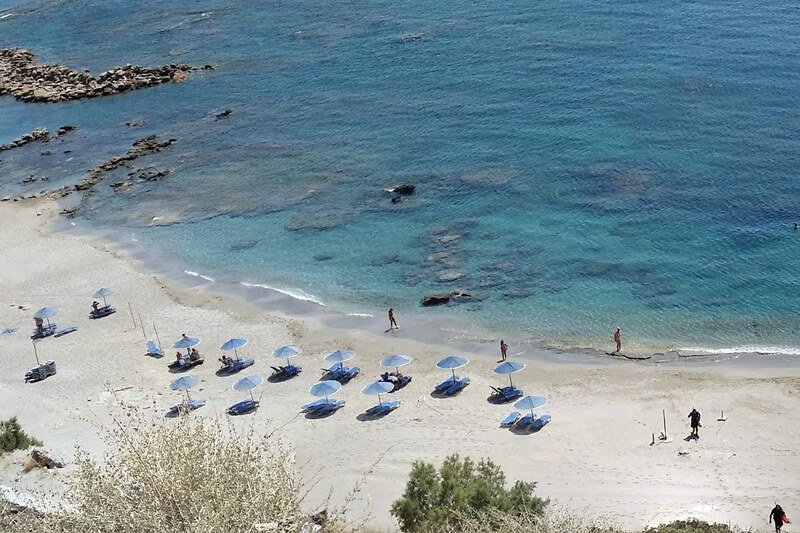 There are several local taverns within a distance of 1-2 km and more cafes, a mini market, butchery and a greengrocer's shop are found in Akoumia village at 10 km. The town of Plakias is 40 km away.